For centuries, men have been fascinated about mermaids, but so far, nobody has concrete evidence of their existence. The Israel mermaid video – which is by far the best that we have – has been dismissed as a hoax by a lot of people, and unless we can see one up close, mermaids are a mythical creature just like dragons and unicorns. For now, what we can do is to make films about them, or to watch (and re-watch) our favorite mermaid movies. Are you looking for the best mermaid films? We have some picks for you here. Don’t worry, “The Little Mermaid” is not included. We feel like it has long reached “legend” status that everyone already knows it. “Scales: Mermaids Are Real” tells the story of a girl named Siren Phillips (played by actress Emmy Perry) who discovers that she’s “different” on her 12th birthday. Spoiler alert: If you’re expecting a mermaid-filled movie, you’d probably be disappointed. But if you want a cute, feel-good children’s movie with a mermaid theme, then this is for you. “The Mermaid” is a Chinese-Hong Kong movie directed by Stephen Chow. If you love Stephen Chow in “Shaolin Soccer,” then you’ll definitely love this fantasy movie. It’s comedy, fantasy, and action packed into one fun film. People who watched this mermaid movie say it centers on slapstick humor originally intended for Chinese speakers. There are some jokes in the movie that have a cultural basis, but overall, it should be a fun and funny movie. 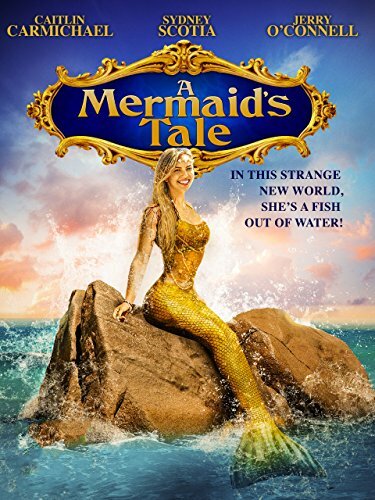 “A Mermaid’s Tale” tells the story of Ryan, a 12-year-old girl who befriends a mermaid named Coral when she and her father went to live with her grandfather. Little did they know that each (Ryan and Coral) has something to share and learn from the other, even healing an age-old feud. “Mermaid” is not exactly the fantasy movie you’re expecting to see. There are no half-fish and half-woman creatures. Instead, the title pertains to an island community where a grieving girl’s message has managed to reach. Based on a real story, Desi, the girl, writes to her dead father and sends it to heaven through a balloon. A man on the Mermaid River finds the letter and sends a reply. Just like the previous movie, “Mermaids” is not a fantasy movie. If you’re a fan of the talented Cher, then you’ll want to see this. It tells the story of a single mother who frequently relocates with her two daughters. It’s, for the most part, a coming-of-age film of a 15-year-old. What is the Best Mermaid Tail Flippers? Once a Mermaid is a participant in the Amazon Services LLC Associates Program, an affiliate advertising program designed to provide a means for sites to earn advertising fees by advertising and linking to Amazon.com. Also, certain content that appears on this site comes from Amazon Services LLC. This content is provided “as is” and is subject to change or removal at any time.